Big Creek Inn is the closest bed and breakfast lodging to Yosemite National Park’s South Entrance. A three guest room inn ideally located at 5000 ft. elevation, on a tranquil bank of Big Creek, just two miles from Yosemite in Fish Camp, CA. Each second-floor guest room offers unobstructed views, privacy and the peaceful sound of the year-round creek. Start your day with a convenient buffet breakfast in the dining room. The innkeepers reside on site and are on hand at breakfast to assist in planning your activities. For other meals/snacks, several dining facilities and a convenience store are nearby. 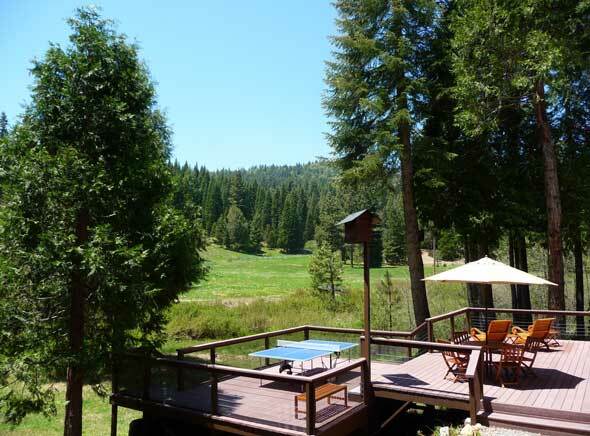 After an amazing day in Yosemite, relax on the deck overlooking Big Creek to observe wildlife in the meadow, or play a game of Ping-Pong on the outdoor table. Or simply sit and enjoy the brilliant night sky from your own private balcony. Two guest sitting rooms offer 24-hour access to a courtesy refrigerator, microwave, snacks and hot/cold beverages. 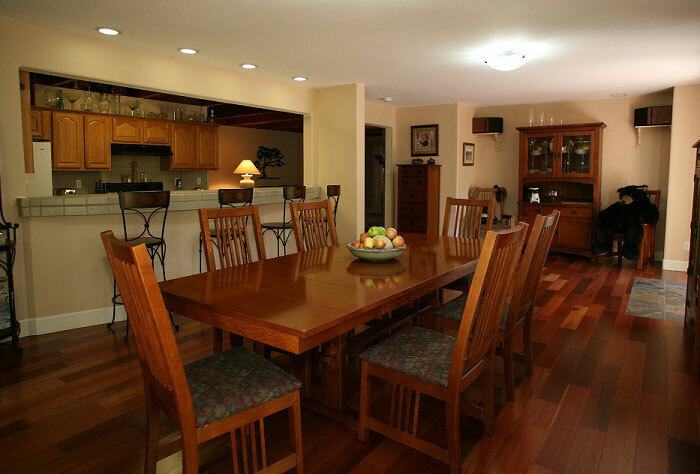 (The refrigerator and microwave are shared by guests and are for convenience foods only. Cooking is not allowed.) Yosemite hiking information, an assortment of board games and more than 500 movies for in-room viewing are provided. Secure wireless internet is complimentary.